Get your sticks up to Inverness-right now! 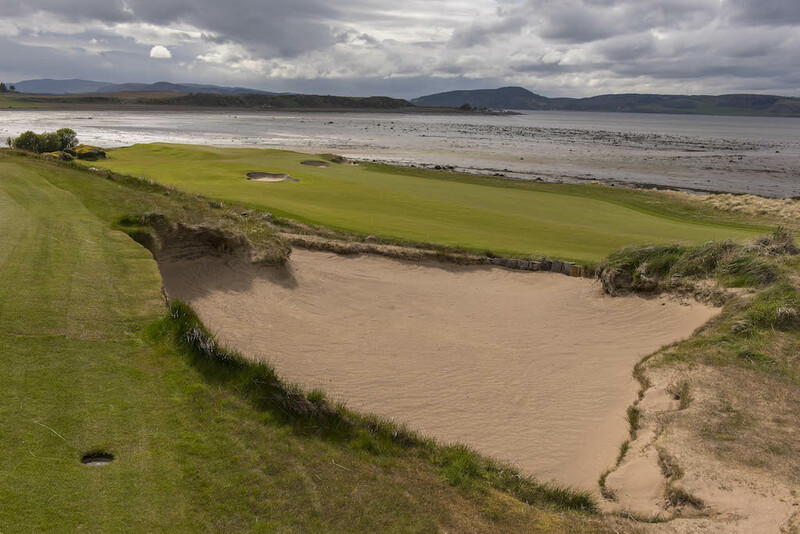 Castle Stuart is hosting the Scottish Open for the fourth time, and we were invited up to try out the experience and see how the course was shaping up. It was my first time at Castle Stuart, and although I’ve seen a lot of the course on TV, there’s no substitute for getting up close and personal. It's a day in early May, but the winds are blowing hard across the Moray Firth. We debate amongst ourselves how we are going to tackle the course and agree that this is a four-club difference day. It’s not raining, there is snow on the peaks of the distant mountains, but so far we are dry and warm. 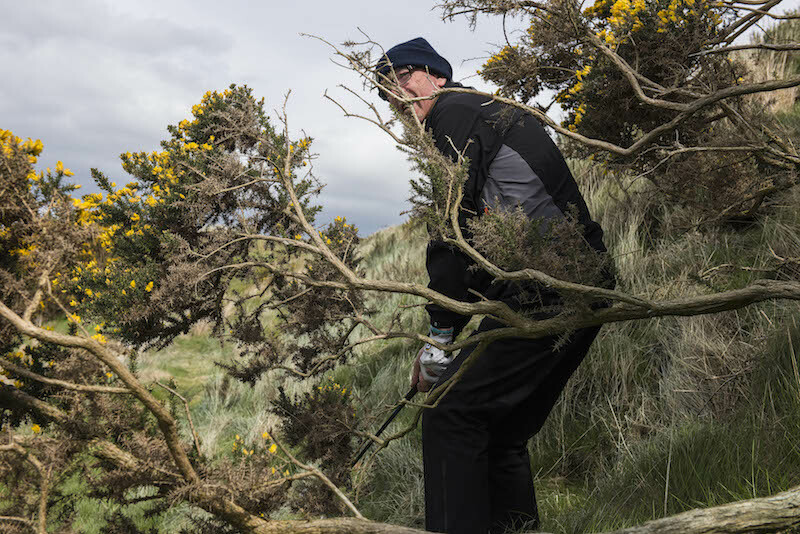 Our leader out on the course is Getty’s legendary Photographer David Cannon, who is an ambassador for our hosts for the day, Glenmorangie. He has shot everyone who is anyone in golf, and he’s a pretty tidy player himself. We’re fresh from a tour of Glenmorangie’s nearby distillery in the morning, so we have a protective warm glow of fine 10 year-old malt to help us brave the elements. Also out on the course with us is Andy MacDonald, their Distillery Manager, and a pretty tidy golfer as well. And we’re off – into the wind on the par 4 first. 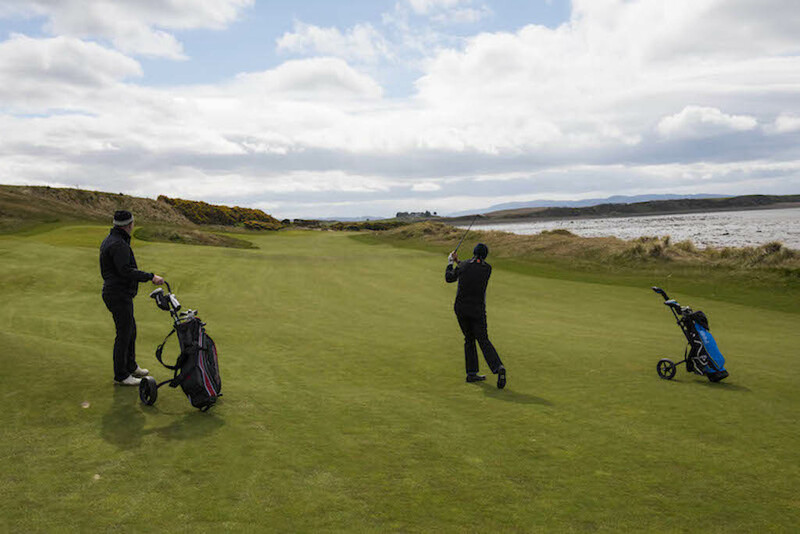 The first three holes of each front nine run away from the clubhouse, along the shores of the Moray Firth. There is no hiding from the elements, but we find that we can cope, as the fairways are generous. 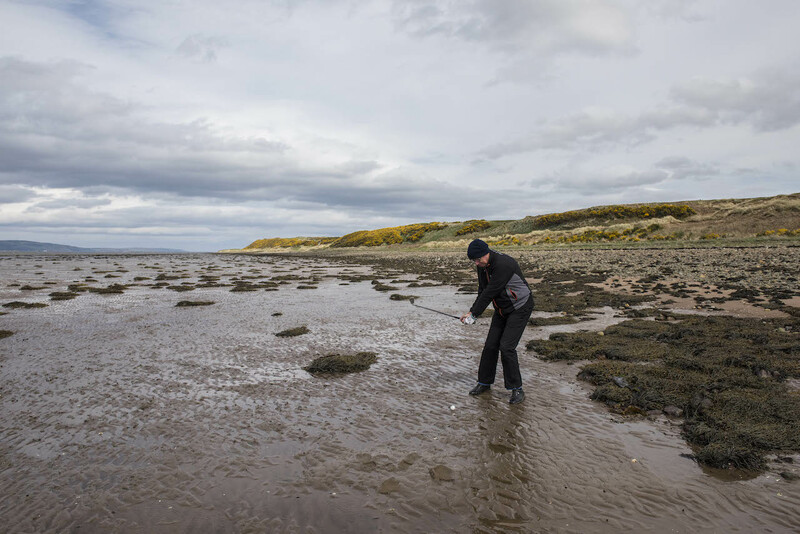 Which is the whole point of Castle Stuart – it’s incredibly playable for all levels of golfer. It’s no walk over, certainly not on a day like this, but essentially it is a complete joy to play. It’s just so much fun! After three holes into the wind, we turn inland and have the wind with us. It becomes an altogether different game. The gorse is out, and the course is light up in brilliant yellow. But the gorse is more of a dramatic backdrop rather than a penal ball-gobbling death trap. Yes, it will eat your balls, but only if you are way off the mark. This is a very fair course, a deep pleasure, rather than a brutal examination. We make the turn and stop in at the half way hut for some respite from the wind, and a hotdog, which hits all the spots. 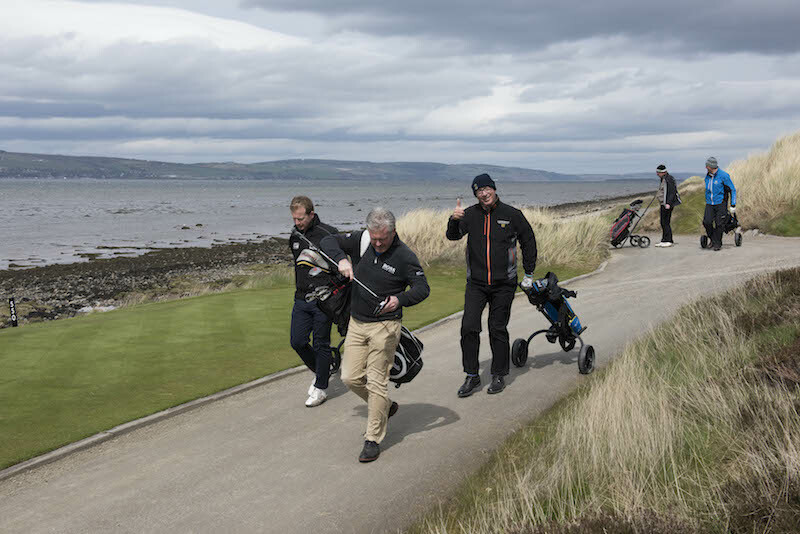 The first three holes of the back nine are again played along the shores of the Firth, but this time we have the wind on our backs, and we take full advantage and fill our boots – or at least Andy does as he goes on a birdie fest. Then it’s time for heart attack hill, as we drag our trolleys up to the top level of the course, with its dramatic views over the Firth and beyond. To our right we can just make out Fortrose and Rosemarkie Golf Club, which is on a promontory that runs out into the Firth. If we think we are exposed, then we have to think again. 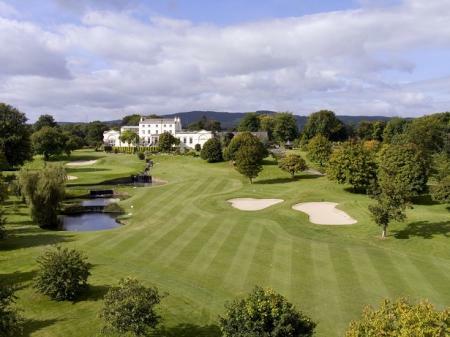 Golf has been played there since 1793, and it’s the 15th oldest course in the world. 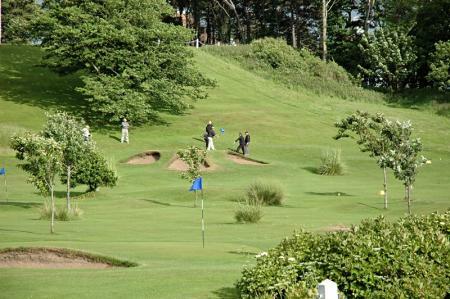 This is a proper golfing Mecca, as you’ve also got Nairn down the road, and Royal Dornoch is just an hour up the road. You can then add in Brora, Golspie, and Tain - an Old Tom Morris classic. They are all wonderful links courses, and more reasons why you should get up to this part of the world. 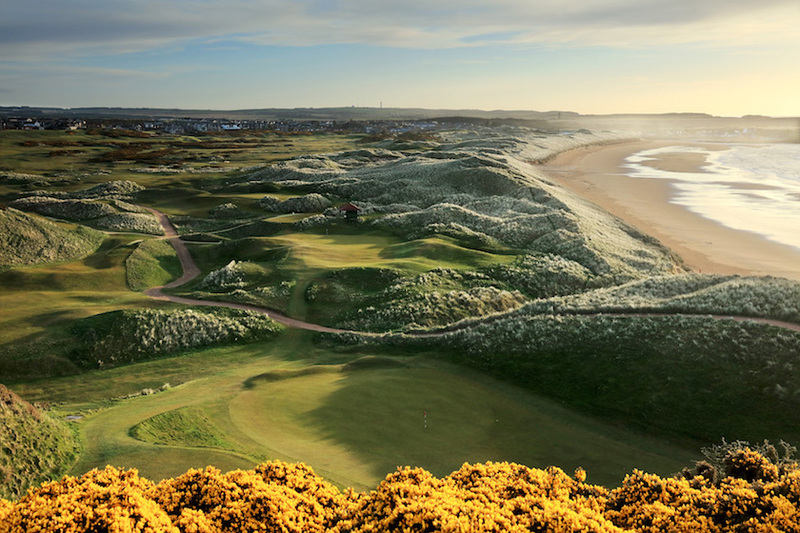 David Cannon is also chomping at the bit to get over to Cruden Bay, which is a two and a half hour drive away, and another links classic. 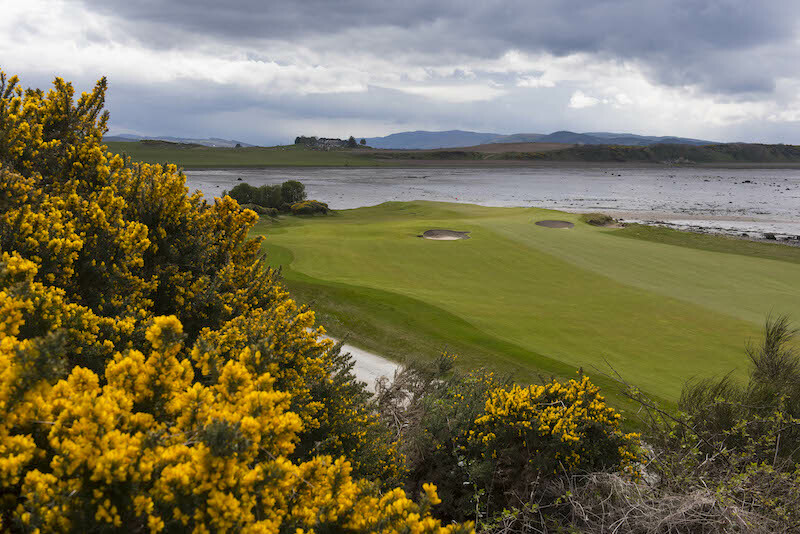 Stuart McColm, Castle Stuart’s GM, is on very good form, as he is delighted by the prospect that British Airways will now be flying into Inverness from Heathrow, which will open up the area to North American visitors in particular who want a piece of the action. KLM will also be flying into Inverness Airport, which is just 2.4 miles away from Castle Stuart, so they are expecting an influx of mainland European visitors as well. This place is on the up and up, and as soon as people realise just how much top quality links golf is on offer here, they will be flooding in. Back to the course, and we are flying round the back nine and loving every moment of it. Before I flew up I had searched every nock and cranny for golf balls, as I thought I would need to be fully armed and ready to take on loses. 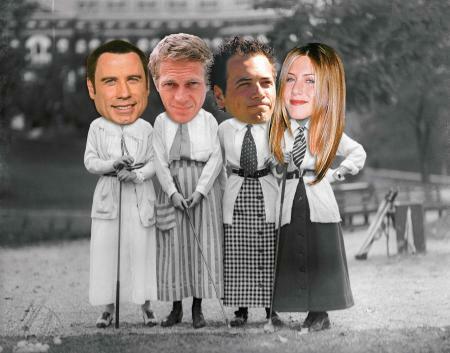 But this just wasn’t to be the case. You’re not going to be mugged here: far from it. This all goes back to part of the core philosophy of Castle Stuart. Mark Parsinen, who is a managing partner, wants courses designed, built and prepared to challenge professionals but also to be engaging and playable for amateurs of all standards. Parsinen says that over the last 40 years perceptions have changed on what makes a good golf course, with many supporting the idea that ‘if it isn’t difficult it can’t be good’. I couldn’t agree more. I’m no Jordan Spieth – I just want to have fun, play a brilliant course, which doesn’t beat the living daylights out of me, and enjoy the company of some properly cool people. And for me Castle Stuart totally delivers. The Castle Stuart course is now attracting a really high quality field for the Aberdeen Asset Management Scottish Open. Europe’s Ryder Cup Captain, Darren Clarke, and former winners Luke Donald and Lee Westwood are confirmed. They will be joined by five-time Major winner Phil Mickelson, the 2010 US Open Champion Graeme McDowell, world number six Henrik Stenson and Europe’s 2014 Ryder Cup hero Jamie Donaldson for the 34th edition of the £3.25 million event. Castle Stuart was where Mickelson laid the foundations for his Open Championship triumph at Muirfield with victory there in 2013, and that he’s back there for 2016, which will pull in the crowds. There’s great stuff going on at Castle Stuart and the Inverness area. Get your bags packed and savour every moment. It’s pure joy. Here's what David Cannon shot at Cruden Bay. 100% GolfPorn.